I first became a fan of Hannah Tinti's writing when I read her story, "Home Sweet Home," (appearing in her collection Animal Crackers). The story begins: "Pat and Clyde were murdered on pot roast night." I'm such a sucker for an irreverent opening and a steam-engine narrative, but Tinti's story crackled with surprise and intrigue as well. So, I leapt at the chance to hear her speak at the 2006 Association of Writers & Writing Programs Conference where she talked about her progress on her first novel. 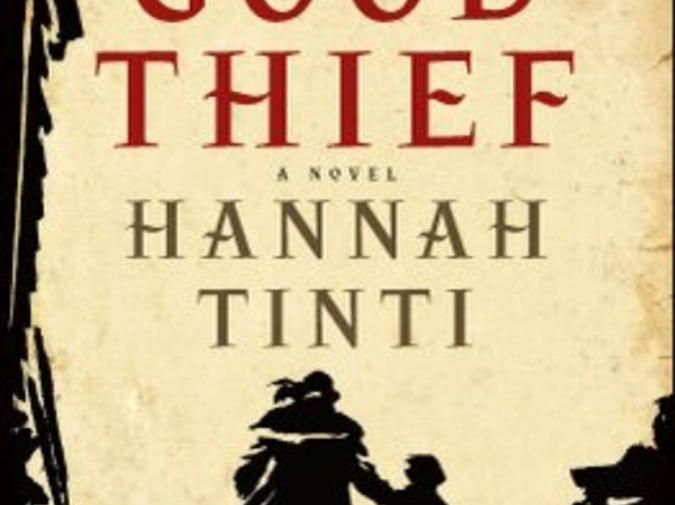 Now, over two years later, Tinti's The Good Thief is out in hardcover from The Dial Press, and receiving boatloads of literary awards. As suspected, Tinti's novel is chock full of imaginative world-building and killer surprises. Back in 2006 at the AWP Conference in Austin, I saw you speak on the panel with Dan Chaon. In that session you told a funny story about how the protagonist in your novel became one-handed. That story has stuck with me all this time. I thought: Here's someone who really lets things happen in their drafts, even things highly unexpected. Would you like to share that funny character discovery story for the readers of Hobart? The idea of this book started with a word. I was reading Jeffrey Kacirk's Forgotten English (It's a book about words that have fallen out of use in the English language) and I came across "Resurrection Men." Resurrection Men are thieves who dig up bodies and sell them to medical schools as cadavers. The practice proliferated in this country and in Europe in the late 1700s and early 1800s as medical schools began to open, and continues to this day (Alistair Cooke, for example, had his bones stolen and replaced with plumbing pipes). The whole concept struck me as something I wanted to explore, so I wrote a sketch of a scene. Initially I just described the setting. I saw a graveyard. On one side of a giant iron fence were the resurrection men, unearthing the graves, and on the other side of the fence was a horse and wagon for the bodies. Well, someone needs to probably guard the horse and wagon and be a lookout, I thought. And that's when I realized that there was a small boy with the horse. I could see him very clearly. His breath clouding in the cold night air, the slice of moon overhead. I saw his right hand, clutching the reins of the horse, and I could tell how frightened he was. But when I tried to see what he was doing with his other hand, it wouldn't come. I tried many different things, and nothing felt right. And then all at once I understood: he didn't have a left hand. Once I figured that out, the boy's character opened up to me, and by that I mean that I had a lot of questions to answer: How did he lose the hand? How did he end up in this place? Who are these men and how did they get hold of him? All these questions infused the scene with drama, and it gave me the energy I needed to enter the situation and let it play out. I wrote that chapter. Then I wrote another. This is how I write: it's sort of like using a divining rod. The words pull me one way, and then another, until I strike something that feels right. Then I start digging. How have things have progressed since 2006? How did this seemingly rash decision to chop off the protagonist's hand affect your writing process on the rest of the novel? Did you ever question that decision as you went back to rewrite the character? Did you make other rash decisions, ones that didn't make the final cut (excuse the pun)? The missing hand became, in many ways, the heart of the novel. Almost everything that happens to my young hero, Ren, is because of it. I never questioned the decision. Not once. There are other things in the novel that I have gone back and forth on, and others that didn't make the final cut. I had one scene about a mountain of garbage that the kids went sledding on; there was also a dog, named Chess. I am struck how deeply you immersed yourself in that graveyard scene while you were drafting it. Frankly, I admire it because I'm not sure I would have discovered the missing hand if I were in that same scene looking around. Close observation of your imagined world is quite a useful craft tool, one that worked very well for you in this case. How did you develop the skill for pushing your imagination to reveal more to you while sketching your story drafts? I have a very visual imagination, and often picture things out like a movie in my head. It also helps to draw sketches of what I'm trying to write about. Most of the time they are not much more than stick figures, but it solidifies things, and gives me a layout of the scene. As far as discovering that Ren was missing his hand, I just kept pushing the description in different directions. With every sentence that I write in a story, I have a choice. The key is to explore as many options as possible, until I hit the right one. A plot point is revealed in the next question and answer. In an effort to keep from spoiling anything for those of you who have yet to read the book, we are putting said question and answer in a pop-up box. Click here to read it. Hannah Tinti grew up in Salem, Massachusetts. Her short story collection, Animal Crackers, has sold in sixteen countries and was a runner-up for the PEN/Hemingway award. Her first novel, The Good Thief, is a New York Times Notable Book of the Year and recently won the John Sargent Sr. First Novel Prize. She is co-founder and editor-in-chief of One Story magazine. Amy Minton's writing has appeared in Hobart, Pindeldyboz, and The Best of the Web 2008 (Edited by Steve Almond, Dzanc Books). She lives in San Antonio with her husband, her eight-year old son, and her brand-spankin' new diploma from the Warren Wilson College MFA Program for Writers.